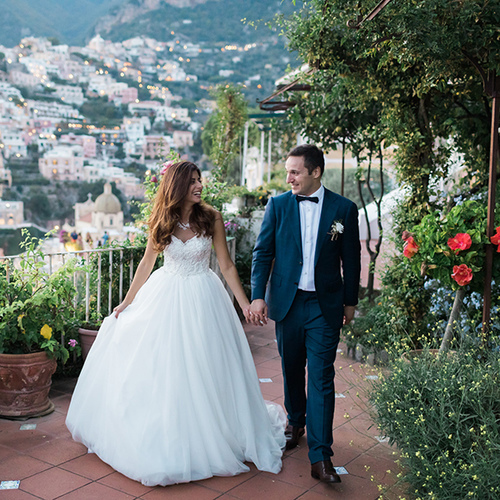 The Italian Wedding agency for weddings planning in Italy, represented by Marina Matasaru, the main coordinator, expresses its great appreciation and thankfulness for your trust and choice. We firmly believe that the most important event in your couple life - the extraordinary, wonderful wedding moments, will be a lasting memory for your lifetime. Our skillfulness, expertise, experience, and contacts will allow us to realize the most unusual ideas for your wedding celebration, your romantic trip, honeymoon, or wedding anniversary. 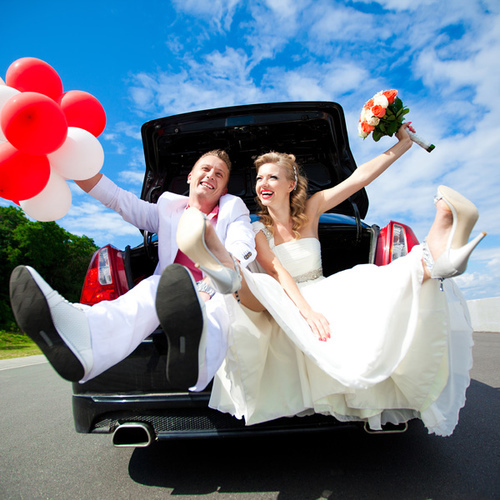 We invite you to read some weddings abroad reviews as true evidences on our wedding services that we have previously provided, and which can make you better decide on which type of wedding would you like to have: civil, symbolic, or Orthodox. Below, you can also find out some wedding venues reviews which will make you discover the most popular Italian locations and venues. It will give you a rough overview on the whole preparing process of the wedding event as well as find out more about the top romantic places for couples in love. Here you can also get more details about the most common wedding traditions and rituals, banquets organizations and celebrations. You will discover all the opportunities to make your holiday special and unique. So, we suggest taking some minutes to look through the perfect weddings abroad reviews and make your day be a perfect one for you two. We hope that in the near future, you will become the next star couple in our agency’s book of happy stories, and write your own review about how you’ve spent your wedding in Italy. We will take care that your memories shine of happiness and joy. Let in your hearts grows a strong love and the desire to come back again in this dizzying world of Italian romance. Marina does what it does, and the main thing is how (!) She does it, it’s just beyond words: it’s not a production pipeline, it’s a very personal and reverent attitude to the triumph, everyone here understands that the newlyweds will not have a second such holiday It must be the most delightful and emotional for the couple and for the guests. Marina, thank you and your great team for allowing us to go through such an exciting event, fully immersed in a joyful atmosphere and completely without worrying about the organization. It was in your safe hands. Our guests, family and we will never forget these days and your kind, attentive and caring attitude. Thank you for 24 hours being for us both the organizer, and the psychologist, and friend! 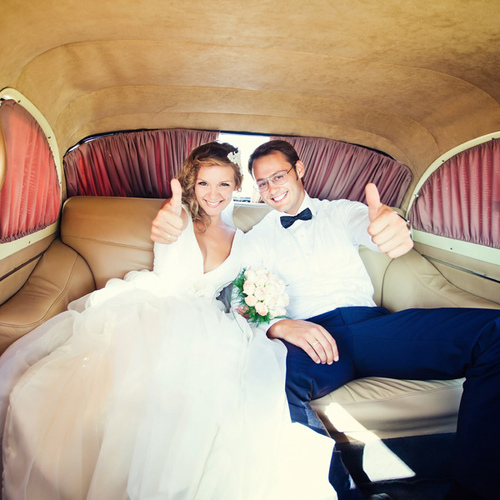 I am already happy for the future for those couples who will meet you on their way: this is a great success !!! Thank you very much Marina Mantasaru for the great help in organizing our wedding in Italy. I am very glad that I chose Marina. I wish Marina further success! Good day to all. We want to sincerely express gratitude for our unforgettable holiday! We looked for a specialist relying on reviews, and to our happiness we were not mistaken. Therefore, we consider it important to tell you what a Professional with a capital letter is Marina. We had a lot of wishes, they were incoherent and sometimes even too impracticable with the condition to invest in the budget. Our Marina gathered everything in one picture, and such a one about which we could not even imagine! Our wedding is an indication that we have been understood. We trusted completely to this person and did not regret for a second. There was a feeling that they think about our wedding all the time! Thanks Marina to you and your entire team that worked with us. Lake Como, Italy and you are in our hearts)) Many thanks from all my heart! 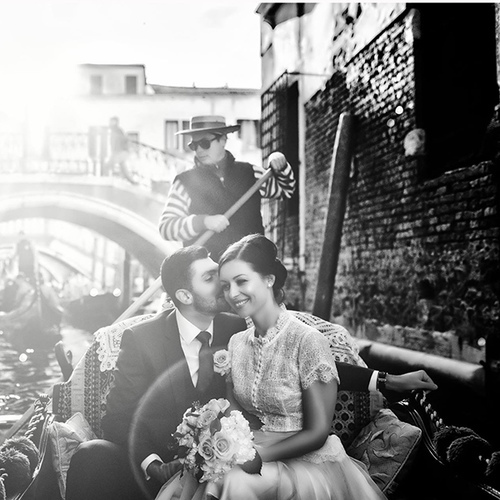 Many thanks to Marina for organizing our wedding in Venice. Marina is a very inspired, responsible and advantageous organizer! Thank you for enduring millions of questions and being able to organize the best wedding! Our wedding was for family and friends from many countries: Italy, Ukraine, Russia, England, Germany. And everyone was excited about this amazing event in the beautiful location, fantastic reception and all the surprises we arranged for our guests. It was wedding like for real prince and princess, and exactly what we always dreamt about. Thank you for thoughtful planning and arranging, Marina. Good luck with your business! Nothing can be better than wedding in Italy it. Marina, thank you! Very pleased with the wedding, everything turned out even better than expected! Thank you for your advice, for organizing and understanding the necessary and important details for us! Hello! We would like to express our deep gratitude to Marina and the Wedding Italian Agency for the excellent celebration we had. We did not want to triple the usual wedding with a restaurant, master of ceremonies, silly competitions and drunken guests. We dreamed of a wedding abroad, a wedding at the castle, so that this special day was only ours. We applied to many wedding agencies, but in some we were told that we did not fit into the budget, in others, that for two they could only offer to rent the back yard of the hotel and hold a ceremony there. And in all agencies they did not offer anything concrete, they had to look for places themselves and think about everything themselves. But Marina, having learned our preferences, began to offer all sorts of options, up to the hairstyle and car. Marina found us a chic medieval castle Castello di Rossino, she found amazing photographers and videographers and a chic hairdresser. Marina did everything so that we could be happy and remember our triumph for the rest of our lives. Thank you very much!!! Marina, thank you very much for organizing our wedding. You had only two weeks to prepare,but it was enough for you !!!! It was even better than we had expected!!! Como is a perfect place for wedding. Marina, thank you for everything, we are happy to know you, good luck to your agency!!! Marina, big thanks to you! Most wonderful job has been done. We recommend Marina's service to everyone. She's very responsible and professional at what she does. Our wedding was organised just in few weeks and it was extremely complicated with our paperwork. Marina made it all stress free for us. She's incredible lady. Thank you! Hi everyone! We want to express our great respect and undoubted gratitude to the organizers of our wedding. My wife and I got married five years ago, but at that time we had no thoughts to have a wedding celebration. We wanted to get out of the standard wedding celebration - restaurant, a toaster, a program with contests, dances and ... home. A standard wedding was not quite exactly what we wanted. So, last summer, we heard about the Italian Wedding agency and decided to make a symbolic wedding in Sicily, in the gold and burning rays of the sun, at the sea. Marina, the main coordinator of the agency helped us to organize this celebration exactly as we had imagined. We just told her about our ideas, and she came back with some interesting ideas for a symbolic wedding. Our parents and guests were very happy to see us in fairy outfits of bride and groom. We have experienced so many new feelings that our love has become even stronger and brighter. Just imagine how romantic is to stay under the open sky of Sicily saying that solemnly speech to your lover, it’s wonderful! I remember that moment with tears of happiness in my eyes. Our celebration took place on the marine terrace of the restaurant we selected. I've never seen so many happy and cheerful people than in that day. Thank you Marina for your ability to make people happy! We decided to celebrate our five-year wedding anniversary in Italy. As an artist, my wife is interested in the Renaissance Art and in all that kind of stuff about the European history. This is what we actually wrote to Marina Matasaru in an email. A few moments later we got an answer with the individual programs and anniversary celebration options there in Italy. We then have chosen a holiday in Rome and a particular excursion with a personal tour guide in Florence. We sincerely thank Marina and her assistants for the worthy organization of our holiday in a beautiful country house near Rome. We and our guests were delighted with the music and culinary delights of the master chefs. The car we rented also on Marina’s advice was exactly what we needed. Thank you for the wonderful attention and creative approach to the ideas of wedding celebrations. GRAZIE, Marina! I find it hard to express in words how happy I am and satisfied with the wedding! Because, we had a long hesitation looking for other options since when we finally decided to come back to your services. It was not entirely clear how to do with our documents. But after our discussion with you, it was very clear and I also understood what a responsible and competent person you are in all what you do. So, Venice! Everything what was going on there with us was some incredible magic. Our wedding ceremony took place in the Palazzo Cavalli palace - it was like in the most beautiful dream! 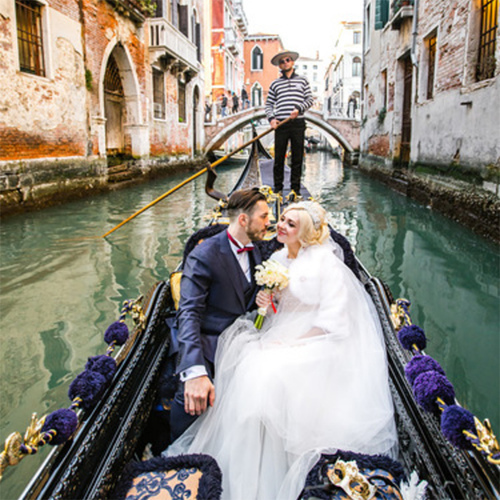 While we went out after the wedding, our friends were throwing rose petals at us, and then we sat in a gondola and had a trip over the water canals of Venice. At the same time, the photographer, invited by Marina especially in those moments, quietly took some amazing photographs which turned out to be a real surprise for us on that unbelievable wonderful trip. The wedding ceremony, we celebrated which much joy at Palazzo Dei Dogi Noble. Our tables were placed in the charming garden of the palace overlooking the lagoon. And that’s not all what we’ve enjoyed there. The apartment where we spent our honeymoon exceeded all my expectations - a great balcony with access to its garden, a beautiful and large room, bouquets of fragrant flowers and the impeccable service allowed us to merge into each other's feelings. Many thanks to Marina for the best and amazing organization of our happy wedding! Thank you so much, Marina! It was a real gap for us there in Italy! Actually, it was quite a familiar place for us, as me and my husband studied in Italy, we traveled together to Rome - Venice - Florence. In Italy, I fall in love with my husband and also in Italy we celebrated our wedding. So, spending our honeymoon in Italy was not a surprise for anyone. But what I did not expect was the range of activities and diversity in the program, during our stay there. We had the chance to see the most interesting places in Tuscany, we took a video with us on the Como island, all the night walked on the funny streets of Rome, sunbathed and swam in San Remo, where we actually had our romantic dinner arranged, on the beach, in a quiet restaurant. There were the best moments ever with my love; watched the sunset, we could only hear the two of us and the sounds of nature. Besides this, everything was planned to keep our intimacy and no one bothered us. I also want to thank you for the restaurants in Rome, where we ate a lot of delicious food, for the hospitality and good attitude to us. I am quite sure that we’ll come back here again and not for only one time. We heard from our friends about the possibility of having a wedding in Italy. Some years ago, they celebrated their silver wedding anniversary in Rome, which was organized by Marina and I can only remember how delighted and satisfied they were with the organization, and we - as guests had lots of beautiful impressions and fun. After some time me and my boyfriend, at that time, travelled to Italy, which inspired us so much, and when we decided to get married, of course our thoughts led us to Italy, where we actually have got married. Just from the moment we made our final decision I’ve contacted Marina to help us with the organization. And we are still very content with our decision, everything was planned at the highest level and much more, beyond our expectations. We had our splendid ceremony celebrated in Rome. Then a relaxing week on the shore in Positano, a magic and warm place to rest - flowers, champagne, amazing and delicious food, wine and lots of lovely moments. We were also very excited of our photo session. 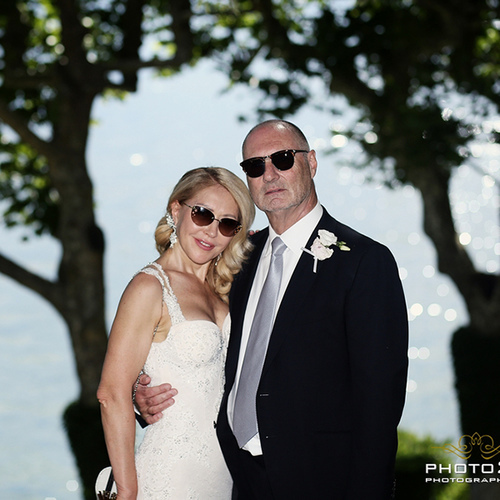 At the beginning we were very attentive at the photographer to take good photos with us, but as a professional he knew how to make us relaxed throughout the entire ceremony without even knowing that we are photographed, and those were the best and perfect photos we have. An absolutely indisputable thing was that Marina took care about our documents and necessary papers for civil registration which saved much of our time. We greatly appreciate her for this and that she managed with all that other wedding stuff and arranged for us our best ever moment together. Many thanks again for our carefree holiday and vacation at sea!! For the kind, cheerful and bright impressions of our wedding!